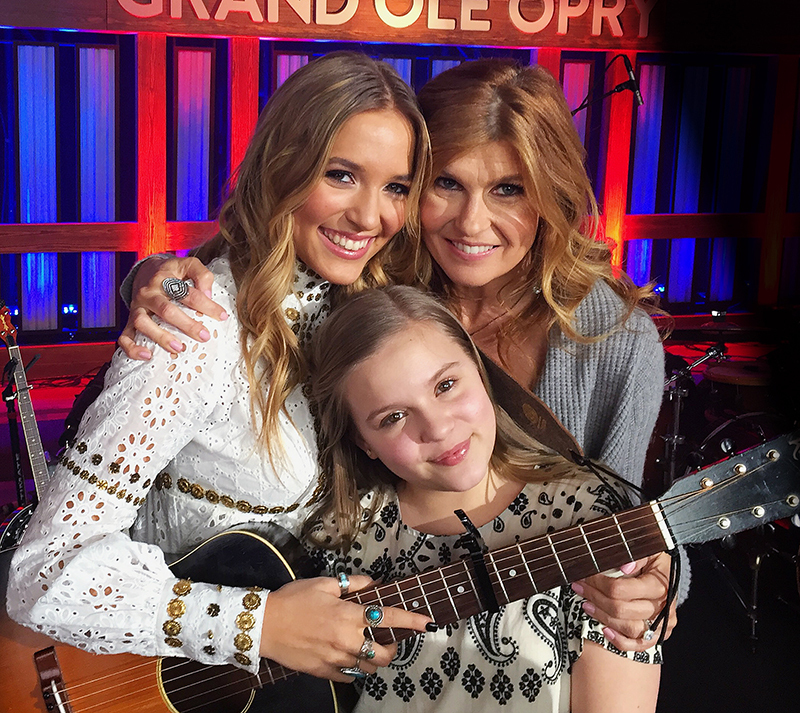 Actresses Lennon Stella (left, with a 1934 Kalamazoo KG14), Connie Britton, and Maisy Stella on the set. It’s not often that prime-time network television captures an audience of working class, professional musicians. 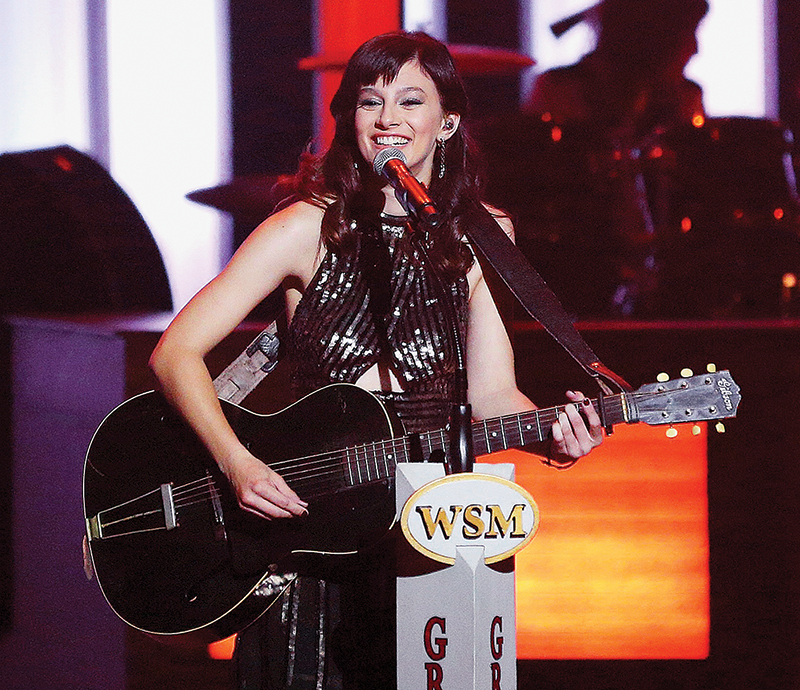 In 1968, players watched Elvis Presley and Scotty Moore swap their Gibson SJ-200 and a Super 400 during Elvis’ “Comeback Special.” More recently, it’s been done with grace in a fictional musical drama. “Nashville” aired for four seasons on ABC, then, after the network opted to not take it on for a fifth, a fitting new host emerged in Country Music Television (CMT). 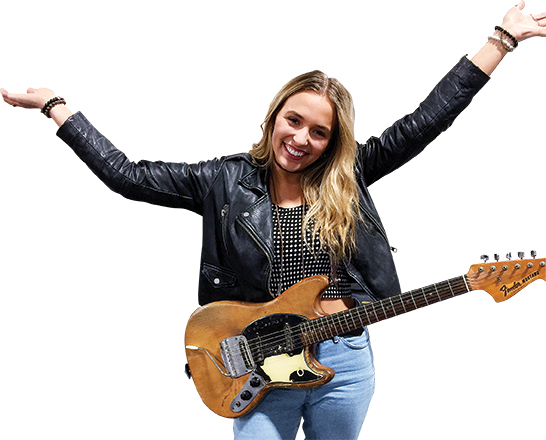 The show is particularly popular in the city for which it is named and has earned high praise not only for exposing millions of Americans to the world of vintage guitars, but also for the way it realistically portrays the sights and sounds involved in creating music. Much of the credit for that goes to two men who share a passion for their work on the series. Danny Rowe, the show’s propmaster for musical instruments, along with musician/music producer/music director/songwriter Colin Linden, strive to ensure that what viewers see closely matches what they hear in the show’s performances. Critical to that authenticity is the attention to detail poured into each episode. 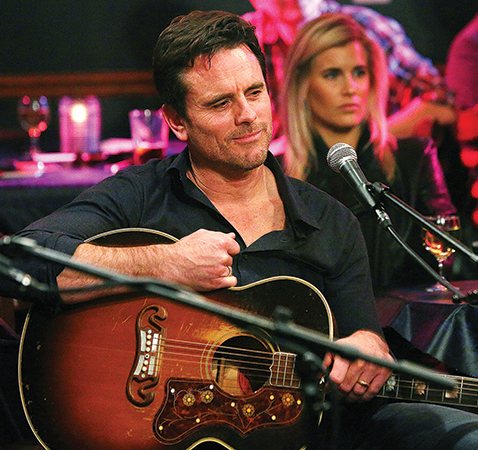 Charles Esten with a ’55 Gibson J-200. Photo: Mark Levine. Rowe hunts down the guitars. Pulling it off is quite the process. And, for each character who plays, the crew tries to establish an instrument of choice as part of the story. Just as crucial is a convincing performance. “T-Bone (Burnett, the show’s former music producer) wanted me to work with the cast on-set so they could really learn to play the parts, and not fake it,” said Linden. “I supervise the shoots and not only notate for errors, but work with the cast and bands to play – exactly – the parts we did on the recording. We never want to dumb-down the music so the actors ‘get’ it – and they don’t want us to. Actor Mark Collie with a Gibson J-200. Photo: Mark Levine. That quest for realism and accuracy even extends to the on-screen backing bands. For Linden, that means getting into the characters’ heads. As developing musicians, the actors blend their own style to make the roles their own. Choosing guitars for a character is given the same consideration as casting for a role. 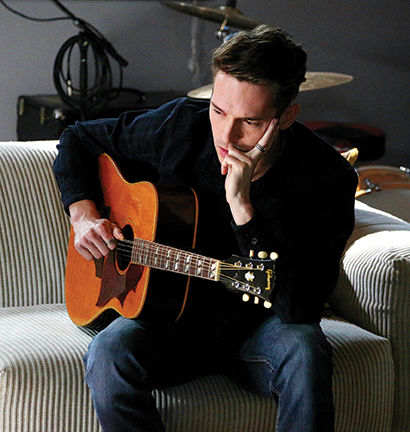 Sam Palladio with a ’67 Gibson Country Western. Photo: Mark Levine. The team also does an incredible job intertwining personalities with the script. Prior to that, the songbird had been seen strumming another super-cool American timepiece. Other key guitars include a ’64 Guild Starfire IV with mini-humbuckers Rowe puts with the band backing Scarlett and Gunnar. 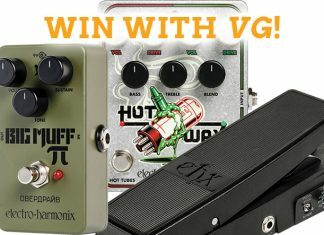 “Gunnar also uses Buddy Miller’s older Danelectros, and we use some Kay reissues in his music room,” he said. Colin Linden with his 1951 Gibson CF-100e. Colin Linden: Laura Godwin. Throughout the series, characters identify with an array of unique axes. While many of the guitars are rented, others are pulled from Linden and Rowe’s personal collection. Deacon, one of the protagonists, is a Nashville go-to guitarslinger and session guy, and as such uses the widest range of guitars. Rowe expands on the character’s toolbox. Early on, the Juliette Barnes character, played by Hayden Panettiere, gifted Deacon a rare Martin. 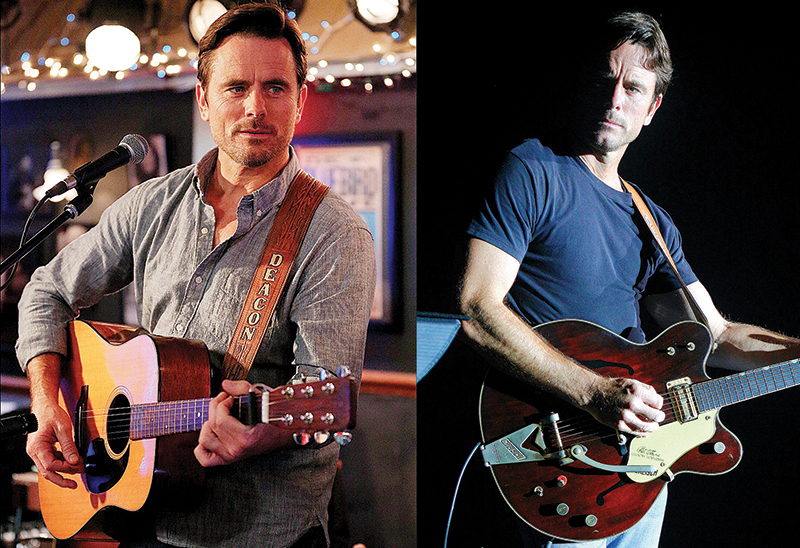 Charles Esten with a ’66 Martin D-18 and a Gretsch Country Gentleman. Photo: Mark Levine. The organic methods of recording and performing are carried out beyond cinematic storytelling. Aubrey Peeples with a ’35 Gibson L-5. Photo: Mark Levine. Beyond keen-eyed musicians, though, Linden points to the bigger picture – and broader audience. Other not-easily-impressed people laud the efforts of Collin, Rowe, and others on the show staff. Instrument dealer George Gruhn is one. Lennon Stella with a ’64 Fender Mustang. 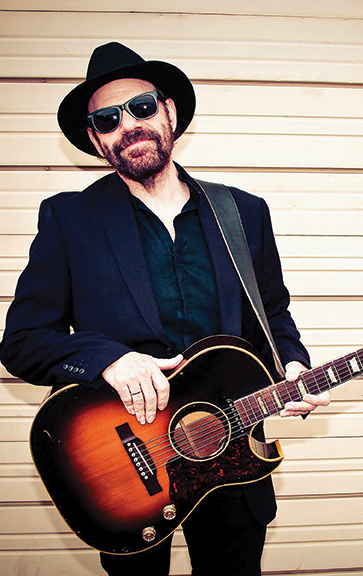 Lennon Stella: Colin Linden. Walter Carter, whose shop, Carter Vintage, is another primary source for instruments, also appreciates the work of Rowe and Linden. “Though some aspects of the show are Hollywood-ized, the instruments are true. When you hear a guitar on the soundtrack that sounds like a Gretsch with a DeArmond pickup or a vintage Gibson acoustic, that’s what you see onscreen,” he said. “When they showed a Gibson SJ the character claimed belonged to Hank Williams, it was period-correct. 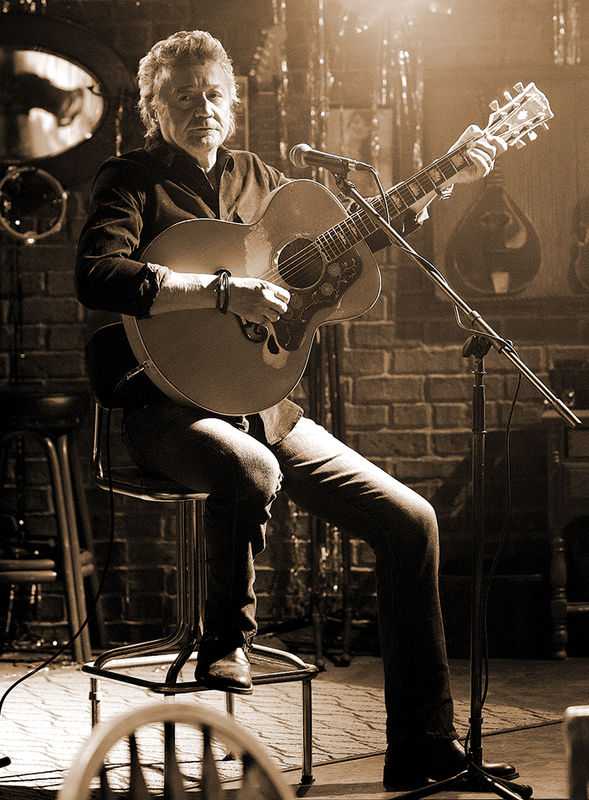 Arguably even more important than the on-screen singing and handling of instruments, though, Gruhn credits the show with spurring interest in Nashville, the city. “The show has provided a huge boost to local and state tourism,” he said. “Ten years ago, it was common to see the Opry House filled only on the ground level and the balcony almost empty. Today, with summer shows Tuesday, Thursday, Friday, and Saturday, often with two on Saturday, the 5,000-seat auditorium is consistently filled. This article originally appeared in VG December 2016 issue. All copyrights are by the author and Vintage Guitar magazine. Unauthorized replication or use is strictly prohibited.